The UK’s leading road tankers manufacturer is investing in growth and creating more skilled manufacturing jobs in Barnsley. Road Tankers Northern, based at Platts Common Industrial Estate in Hoyland, designs, builds, services and inspects road tankers for carrying petroleum and LPG gas. 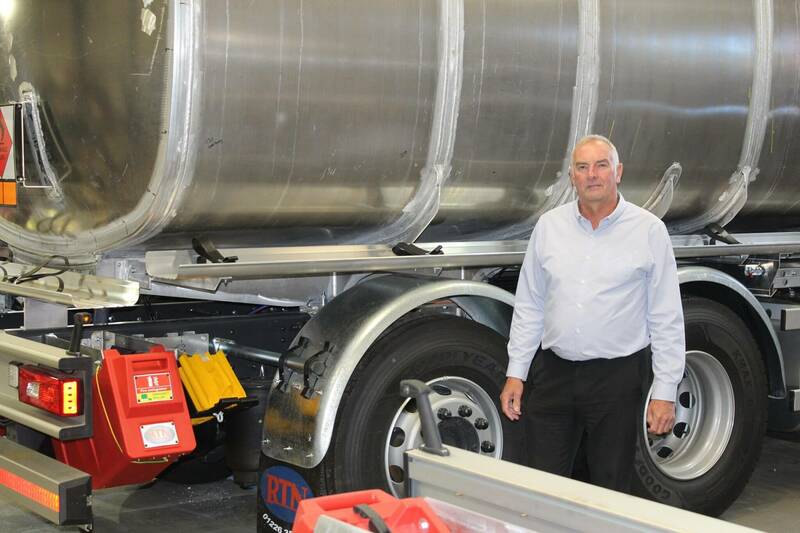 Over the past 20 years, the company has become the dominant supplier of road tankers to the UK bulk liquid haulage industry, squeezing out foreign competitors and securing nearly 75 per cent of the domestic market. Its customers include most major fuel distribution companies and supermarkets including Shell, Certas, Calor Gas, Morrisons, Sainsburys and Asda. It has recently completed an order to supply 133 new tankers to BP. The entire Tesco fleet of semi-trailer tankers is built by RTN too. Increasing demand over the past two decades has seen the company double turnover to £15 million – and expand its workforce seven-fold to 150 employees. Now, RTN is embarking on a further period of expansion and aims to create around 15 new jobs within the next year in areas such as design, fabrication, welding, electronics, inspection and administration. The engineering company’s growth plans are being supported by Enterprising Barnsley, the economic development arm of Barnsley Council. RTN Operations Director Don McKelvie said: “We have grown year-on-year since we moved to Barnsley in 1993 and are very proud to be creating more skilled, high-value jobs in manufacturing right now. “A lot of people just don’t realise that Barnsley is the centre of the UK road tanker manufacturing industry ‘and it’s not happened here by accident, our growth has been down to sustained investment in plant, premises, workforce and innovation. When RTN first moved to Platts Common from Sheffield 23 years ago they took on two units – they now occupy 75 percent of the whole industrial estate with plans to extend further and develop six more paint, service and inspection bays later this year. The company also plans to add four to five new vehicles to its UK-wide tank testing and inspection fleet. It is investing almost £500,000 in this current expansion programme, including investment in two automated robotic arms and the latest laser cutting technology to increase productivity and bring the production of more intricate, precision parts in-house. The new state-of-the-art laser cutter stands close to the company’s hard-working ‘mud-wing machine’ which dates back to the 1930s ‘this is used to create the essential fire-proof steel or aluminium covers for the wheel arches of fuel carrying road tankers. Enterprising Barnsley is currently supporting RTN with its recruitment and training drive and has in the past helped the company secure a Leeds City Region grant to help fund a previous expansion. Enterprising Barnsley business development manager Steve Hawkins said: “Road Tankers Northern is a major local success story and continues to grow and create new, skilled engineering jobs in our borough. Founded in 1991, RTN is part of the NWT Group founded by entrepreneurs Frank Newell and the late Paul Wright. Its sister company RTN Clayton Vallely, which manufactures specialist road tankers for the food, drink and environmental industries, was set up at the nearby Rockingham Industrial Estate at Birdwell in Barnsley five years ago. Photograph shows Don McKelvie, operations director at RTN. For more information about Road Tankers Northern visit www.rtnltd.co.uk and contact Don McKelvie on donmckelvie@rtnltd.co.uk or call 01226 350650.